 JMD Ross Insurance Brokers Pty Ltd is the insurance partner for ATEC (the Australian Tourism Export Council), and IATG (the Institute of Australian Tour Guides). We provide preferred rates on general insurance products for ATEC and IATG members. To access JMD Ross’s tour operators’ liability proposal form – click here. Australia’s dramatic growth in tourism has created a need for ATEC members to keep abreast of the risks and potential legal liability involved in operating in the industry. Many inbound tour operators (ITOs) put their businesses at risk because they don’t understand their legal responsibilities. ATEC and JMD Ross Insurance Brokers have developed the solution – a combined occupational liability insurance policy for ATEC members. The policy covers public and products liability and professional negligence. It is designed to provide protection that’s not always available in operators’ existing insurance programs. Submit and pay for your Tour Guides & Tour Managers Application via our online form. JMD Ross has worked within the travel and tourism industry for over 30 years, and we have developed a new product for Australian Tourism Operators called Toursafe. ATEC is the peak industry body representing Australia’s tourism export sector. ATEC represents more than 800 members across Australia. Services include B2B opportunities, industry advocacy and development, education and business capacity building, domestic and national networking events and conferences. IATG is a national professional industry association that represents Australian tour guides.